Dr. Robinson is a Professor in the Department of Medical Genetics at UBC and a Senior Scientist at the BC Children’s Hospital Research Institute (BCCHR). She completed her undergraduate studies at Lewis & Clark College in Portland, Oregon followed by a PhD in Genetics from the University of California at Berkeley specializing in population genetics and genetic epidemiology. She then worked as a postdoctoral fellow at the Medical Genetics Institute at the University of Zurich, Switzerland. Since joining UBC, Dr. Robinson has been actively involved in undergraduate and graduate teaching, which has been recognized by Departmental and Killam teaching awards. At the BCCHR, she has served as Director of the Reproduction & Healthy Pregnancy Research Cluster and a member of the Scientific Steering Committee. Her main research interests involve the genetic and epigenetic aspects of reproduction and early human development. 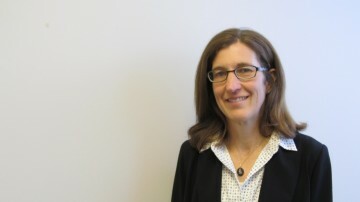 In her role as Assistant Dean, Dr. Robinson’s key responsibilities include the creation of a strategic plan to ensure excellence in training and mentoring of Faculty of Medicine graduate students and postdoctoral fellows at all geographic sites, as well as facilitating a supportive learning and research environment with opportunities for students, graduate advisors and supervisors across programs.